Extra long and extra thick: 74'' x 24'' x 1/4"
The folks at Yoga Direct developed the PURE Yoga Mat to give you a little extra piece of mind during your practice: finally, a yoga mat that is free from the 6 most harmful phthalates and other harmful chemicals. This exercise mat is super sticky, extra thick, extra long, and so durable and long-lasting that we back it with a limited lifetime warranty! Reward yourself with the multifunctional PURE yoga mat, and see why it is fast becoming the new standard in yoga mats at yoga studios, schools and gyms. Phthalates are plastic additives, commonly added to PVC to make it softer. They can be harmful to the body and environment because they do not fully bind to the plastic and linger in the air. 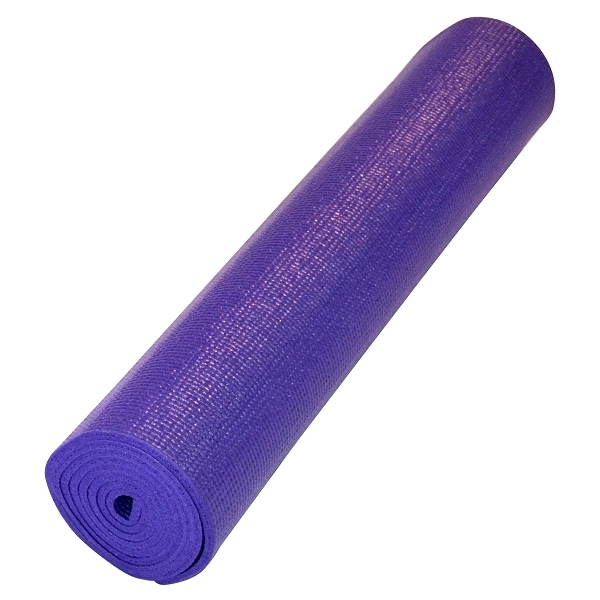 The folks at Yoga Accessories developed the PURE Yoga Mat to give you a little extra piece of mind during your practice: finally, a yoga mat that is completely free of phthalates and other harmful chemicals. This exercise mat is super sticky, extra thick, extra long, and so durable and long-lasting that we back it with a limited lifetime warranty! Reward yourself with the multifunctional PURE yoga mat, and see why it is fast becoming the new standard in yoga mats at yoga studios, schools and gyms.